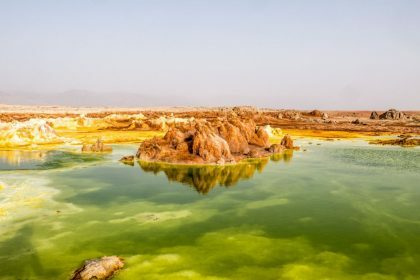 With some of the most impressive landscapes I have seen in my life, the Danakil depression in Ethiopia is one of these destinations, which adventure lovers have to visit at least once in a lifetime. 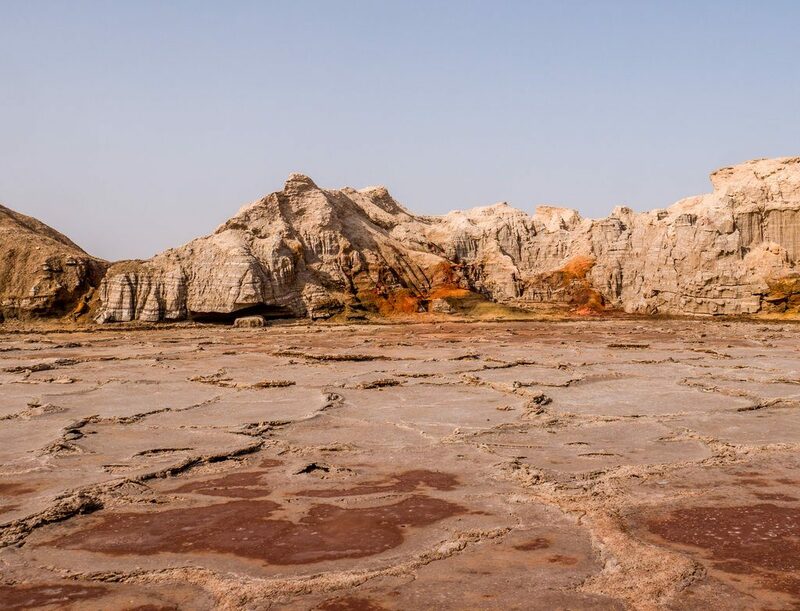 From colorless landscapes at the Karum salt lake to the most colorful landscape on earth at Dallol, last month I had the chance to visit the hottest place on earth, the Danakil Depression. 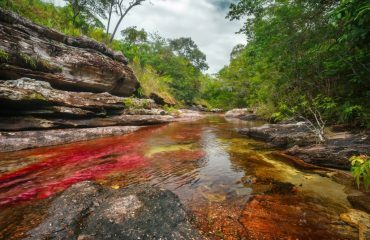 This place can reach temperatures up to 50 degrees and offer some of the most incredible views on earth. 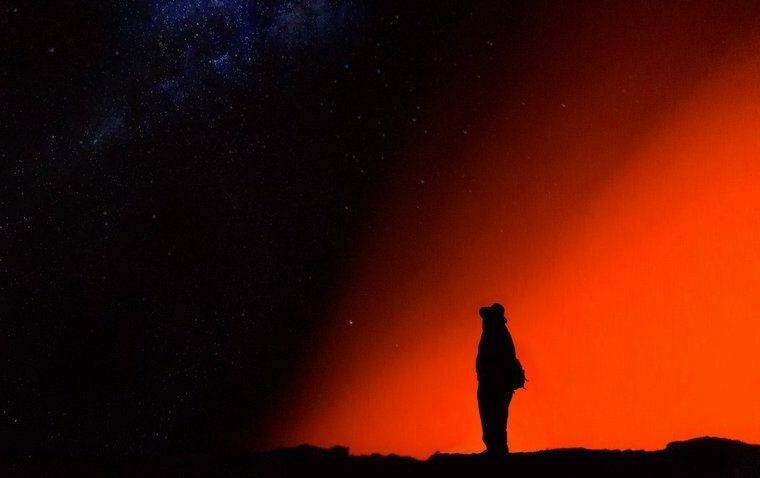 Researchers even come here to find out how life might in in other planets. 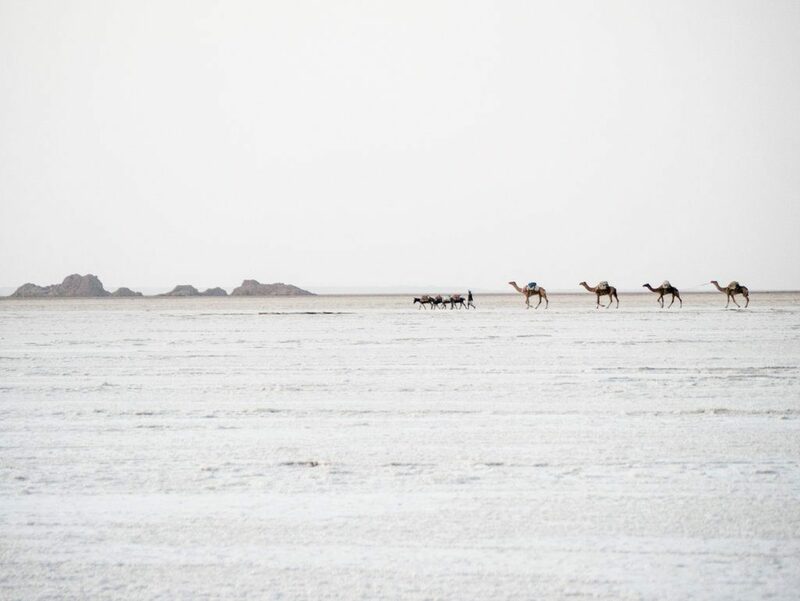 Camel caravans transport salt from the Karum salt lake up to the town of Mek’ele every day. This journey takes almost one week and it´s done at temperatures over 40°C. Afars work long hours under very heavy conditions at the salt mines near lake Karum. 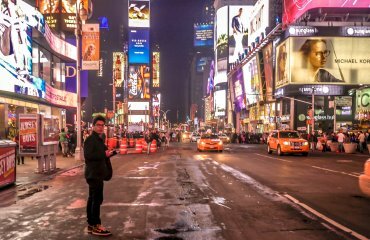 These are some of the most extreme working conditions in the world. 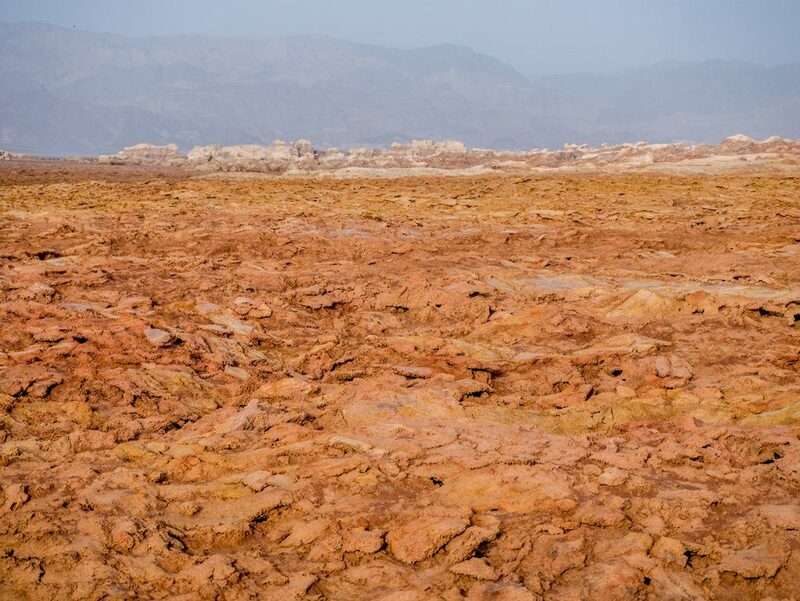 Not far from the salt mines of Danakil, rock formations with different tones of red are formed. 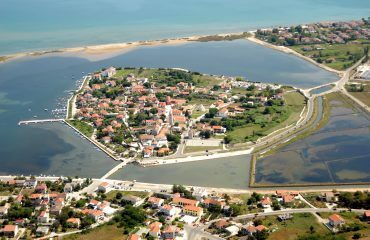 They create a unique landscape, which is only possible in this part of the world. 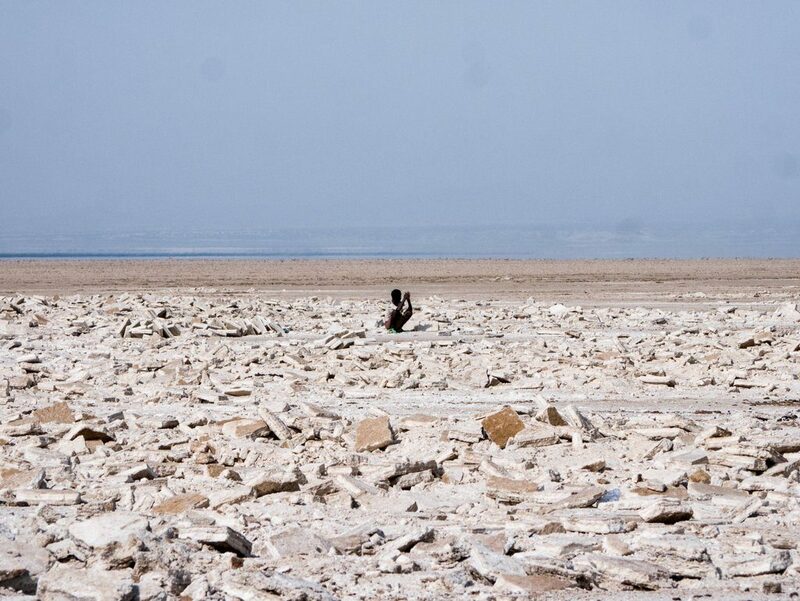 The Afar triangle has the most uninhabitable climate in the world. Life here is minimal and landscapes are practically untouched. 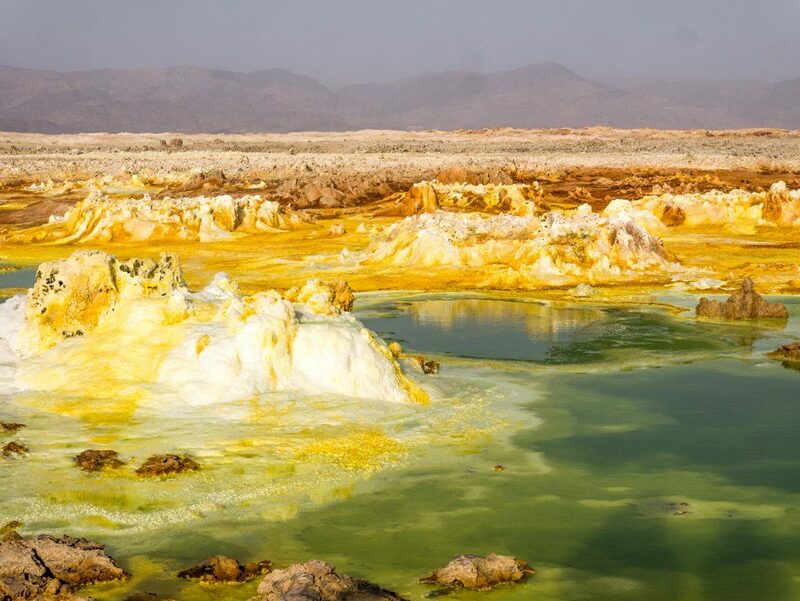 Dallol is the only place on earth where small geysers of salt and acid are formed. 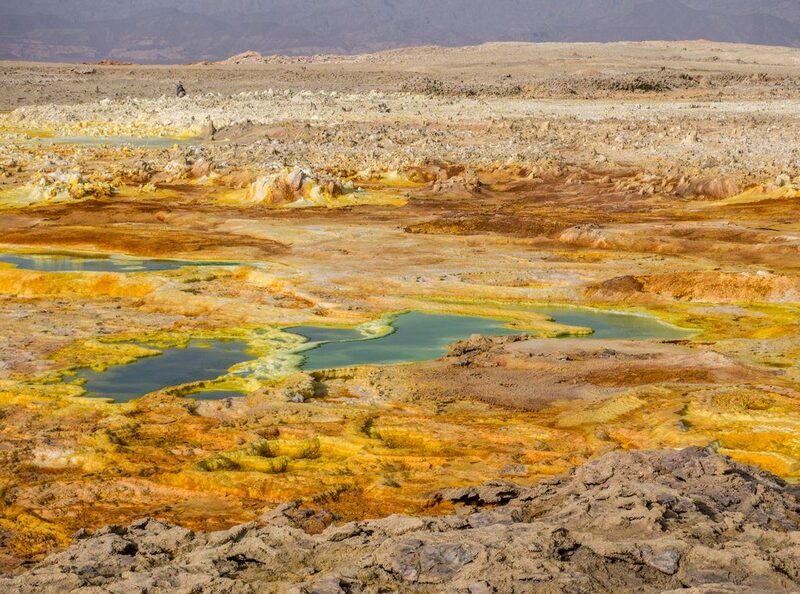 This lead to some of the most beautiful and colorful natural formations on earth. 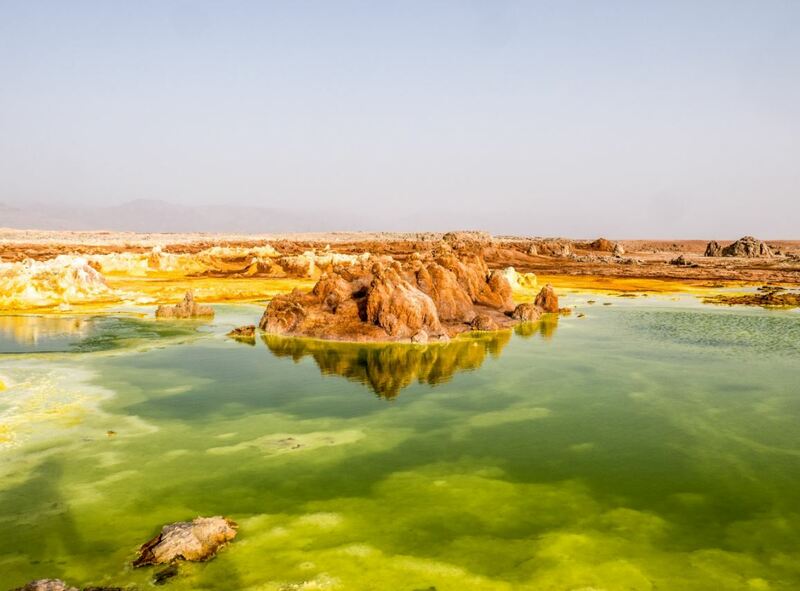 Neon green and yellow acid ponds in Dallol exfoliate poisonous chloride and sulphur gases. These have a very peculiar smell visitors feel while walking around this area. 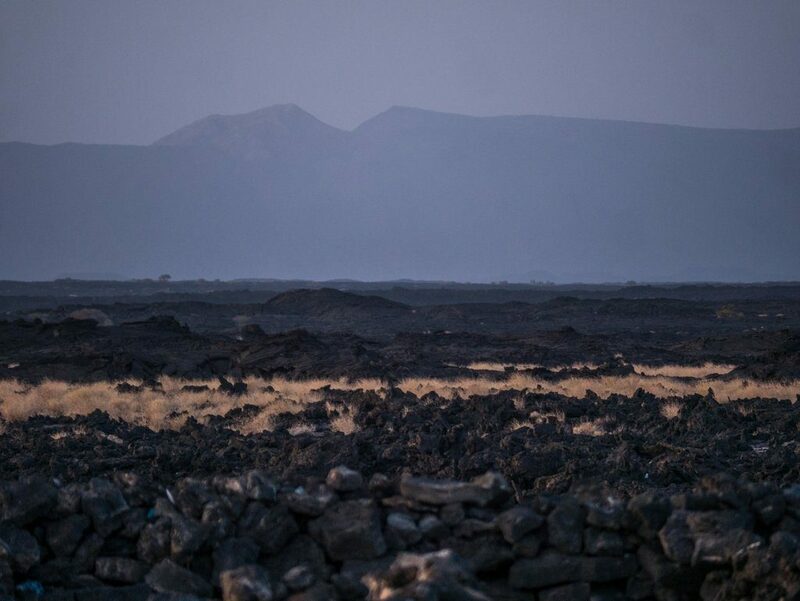 The volcanic rock from Erta Ale had spread for more than 50 km around the crater. This makes the journey to Erta Ale even more difficult for vehicles. While most of the time travelers can see a full view of the lava lake at the crater of Erta Ale, volcanic gas can sometimes stop you from seeing the magma flowing around.